"I was just shaking; I couldn't even get myself together yesterday,” said the victim. A Paradise Hills family said they were terrorized when their home was broken into by a masked man overnight. The victim, who asked NBC 7 to not reveal her identity for fear of her safety, said she was home asleep with her two young sons when the suspect entered the home through an open window. 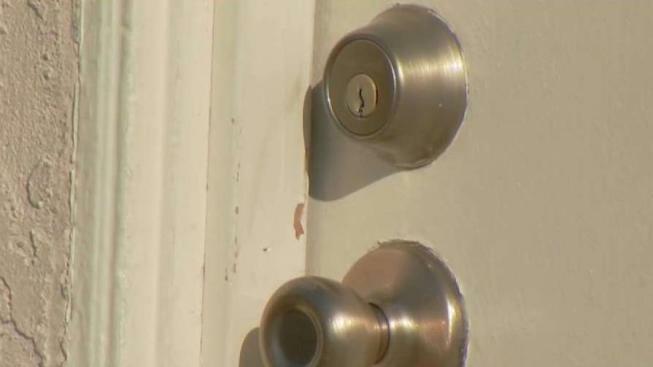 It was after the break-in when she heard yelling; it was her neighbor who was confronting the suspect right outside her door. "All I hear is him trying to unlock the door frantically, and I heard him yelling, and I opened the door, and he said someone just came barreling through here with a bunch of stuff,” the victim said. “He tossed all the stuff in the house and took off after him." The neighbor, who also asked we not identify him, tells NBC 7 he was home when he heard his dad chase after the masked man. "I came outside looked around and all I saw was a screen window on the ground and the window completely open," said the neighbor. The incident happened on Honey Drive in Paradise Hills. The suspect, unfortunately, got away with important items like her wedding ring, purse, laptop and family heirlooms. The brazen incident left the victim and her family disturbed. "I was just shaking; I couldn't even get myself together yesterday,” said the victim. “My kids were there, and I was just so traumatized." Police say the suspect and another man were driving a compact U-Haul when they sped away. The investigation is ongoing anyone with information can call the San Diego Police Department at 619-531-2000.